Mumbai is the capital city of Maharashtra and is the most popular city in India. distance between Mumbai and Shirdi is approximately 461 Kms. The city’s railways, taxis and rickshaws too are popular among the tourists and Mumbai public. 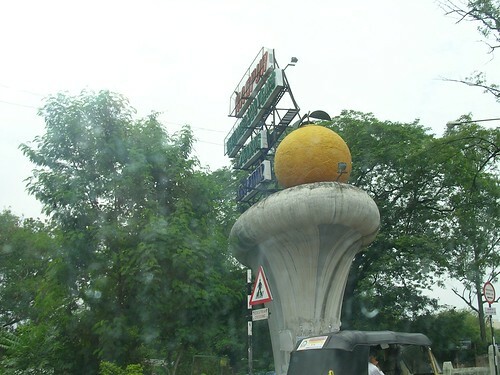 Shirdi is well connected to Mumbai by road, train and flight. Mumbai to Shirdi distance is around 461 Kms. About 28 operators provide bus service from Mumbai to Shirdi connecting two important cities of India. It takes around 7 hrs and 41 min to complete this journey depending on the operator and type of bus. Buses start from 05:45 AM to 11:01 PM in night times which provides the flexibility to get there at different time to customer. The lowest bus fare from Mumbai to Shirdi is Rs.170 and the highest is Rs.940. Mumbai to Shirdi bus route also provides various types of buses such as A/C Sleeper, Non A/C Seater, Volvo A/C Multi-Axle, Volvo A/C Seater, Non A/C push Back Seater, A/C Seater, Non A/C Seater, Volvo A/C Semi sleeper, Mercedes Benz A/C, Volvo A/C Multi-Axle Sleeper and Non A/C Hi-Tech push Back Seaters. The following are the train name, departure, arrival timings and day of the train. The travel distance from Mumbai to Shirdi is 196 km. The best way to reach Shirdi from Mumbai is by road. The places covered during the journey from Mumbai to Shirdi is Mumbai-21 km, Thane -34 km, Padgha – 31 km, Khardi – 77 km , Nasik -83 km and finally Shirdi. On the way there are several ATM, hospitals and petrol pumps. Hire a cab or rent a car to Shirdi which takes around 5 hours. The estimated cost of cab per kilometer ranges between INR Rs 9 and 13, depending upon the type of car you hire. The information on Flight Schedule of Mumbai to Shirdi is displayed below. Airlines Name, Flight Numbers, Arrival and Departure time, and frequency of flights to Shirdi are covered. Manmad city (Maharashtra) to Shirdi (Maharashtra) distance is 82 km. There are various modes of transportation from Manmad to Shirdi, if you want to go. There are many shirdi sai followers in manmad also and they comes Shirdi Sai temple to pay regards. The time taken from Manmad to Shirdi by train is 1 hour and 40 minutes. Trains run from Manmad station to the Shirdi. Manmad to Shirdi trains available with fares starting from Rs 132. The trains run from Manmad to Shirdi are as follows. Manmad to Shirdi distance is is 82 km. multiple bus types are available such as Volvo, AC, Non AC, AC available between Manmad to Shirdi. There is no airport in Shirdi. The nearest airport to Shirdi is Gandhi nagar Airport, Nasik which is (76 km) far. Taxi and cabs runs from Manmad to Shirdi. The taxi will charge Rs 80 per person while autos will charge up to Rs 30 per head, which is valid only during the day time. Travelling in cab during night time can charge around Rs 500 from Manmad Junction to Shirdi. Here are list of cab or taxi operators with the vehicle name, per kilometer fare and its price. Shirdi is an important town famous as the home of Sai Baba and the SaiBabaTemple. 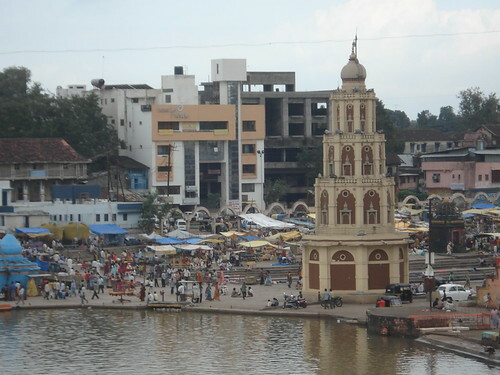 Dwarakamayi and Chavadi are the another main attractions of the town. Shirdi is well-connected by trains or bus services. The nearest station of the Indian Railways is at Kopargaon (15 km). The best way to travel Shirdi from Chennai is by train. There is direct train from Chennai leaving from Chennai Central station once in a week on Tuesday which is a one day journey. Chennai (Tamil Nadu) to Shirdi (Maharashtra) is 1392 km and time taken is 25 hours and 20 minutes. Travelling via roadways is less preferable by people due to long hours of journey. The lists of trains with their timings are as follows. 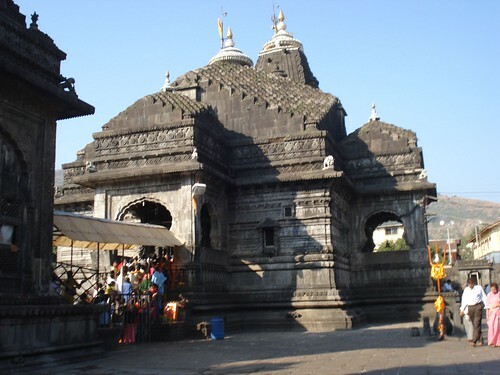 The nearest airport to Shirdi is Gandhi Nagar Airport in Nasik (76 km). The Air Travel Distance between Chennai and Shirdi is 965 Km. The road distance from Chennai to Shirdi by car is 1392 km and time taken is 25 hours and 30 minutes. The following list of A/C and Non A/C cabs available with their different fare rates. Sai Baba’s place Shirdi (Maharashtra) is a very holy and important temple in India. It is a well-developed town connected by bus routes. The distance between Delhi (Delhi) to Shirdi (Maharashtra) is 1247 km. The time taken by road from Delhi to Shirdi is 17 hours and 50 minutes. 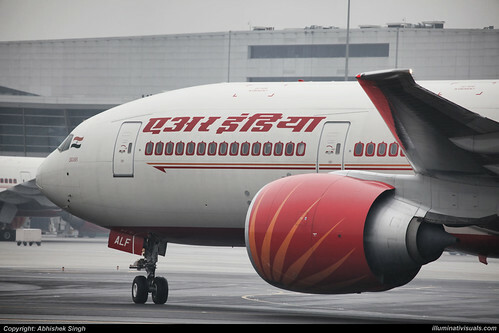 Take a direct flight from New Delhi to Aurangabad which takes around 2 hours. Aurangabad Airport is located around 125 km away from Shirdi. Taxis, buses and cars take around 2 hours to reach Shirdi from Aurangabad Airport. Shirdi has no airport; so no direct flights are available from Delhi to Shirdi. Air distance between New Delhi and Shirdi is 1027 km. Kopargaon and Manmad are the two nearest train station connected to Delhi. There is an important Railway Station, Kopergaon though which the Karnataka Express from New Delhi to Bangalore passes. Take a direct train from Kopargaon to Delhi which takes around 20 hours. Kopargaon Railway Station is situated at distance of about 15 km from Shirdi and can be reached by hiring cabs or taxis. The best way to reach from New Delhi to Shirdi is by train. Delhi to Shirdi by Train the distance by train is 1028 km. Travelling by bus is reasonable, time-consuming and some tiring. Delhi to Shirdi Private A/C and Non A/C buses are available. You can travel via govt. buses or by buses which are runs by private tour operator. Delhi to Shirdi distance by cab or taxi is 1247 km and time taken is 17 hours and 50 minutes. There are various types of cab and taxi are available with different cost, the details are as follows.